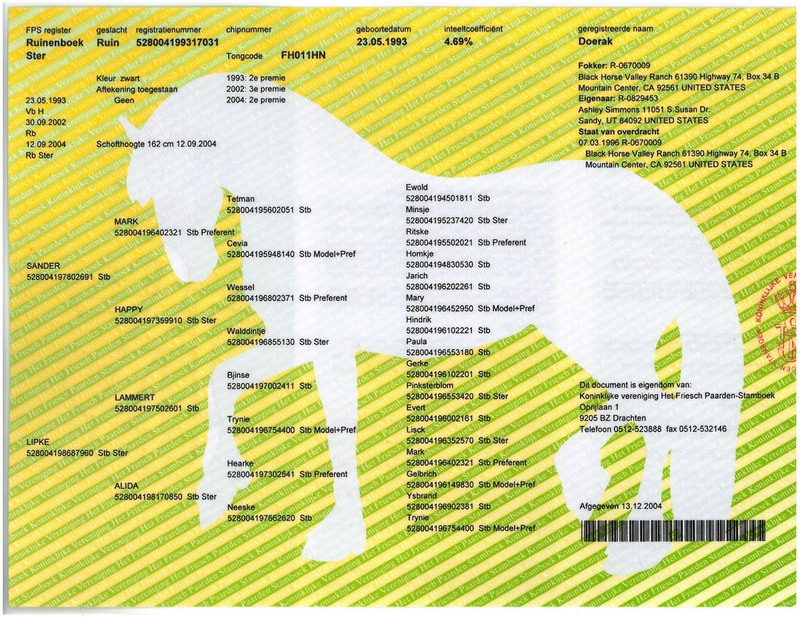 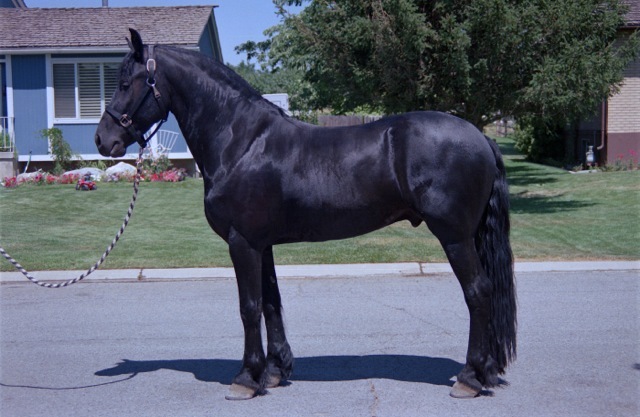 Ster and Model Preferent mare lines as well as the famous preferent stallions Hearke and Mark. 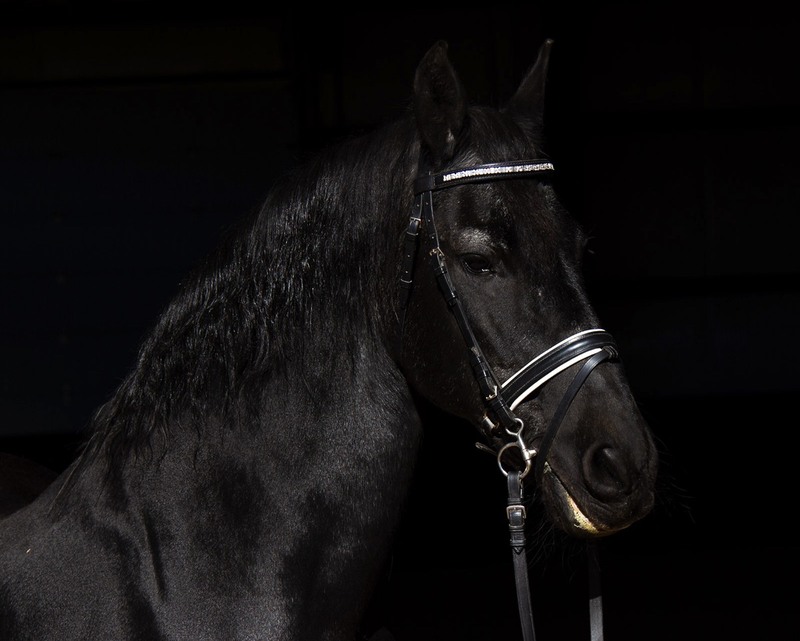 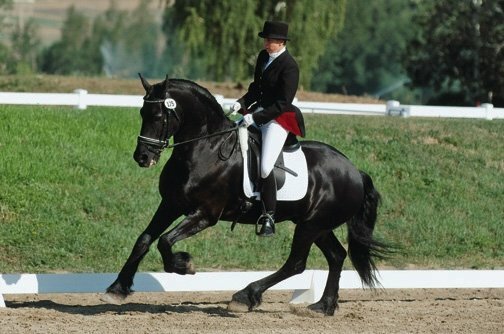 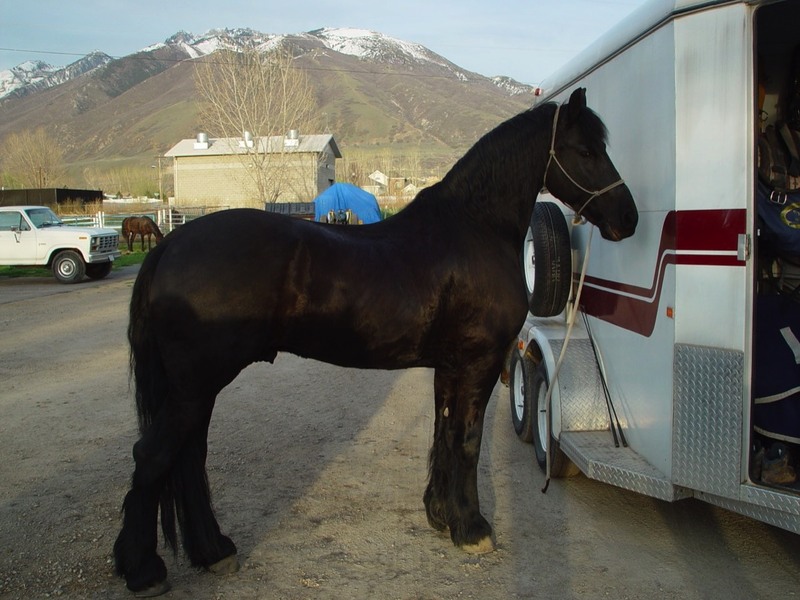 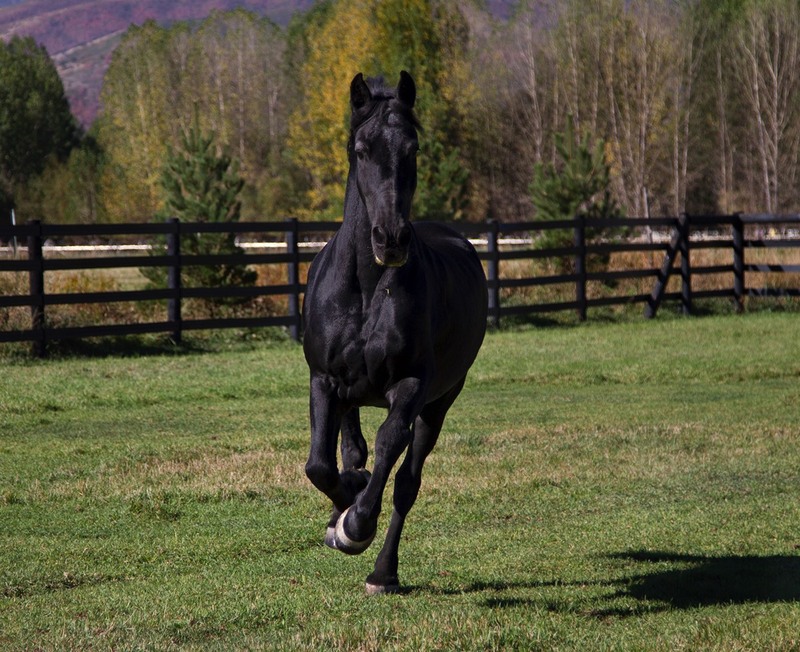 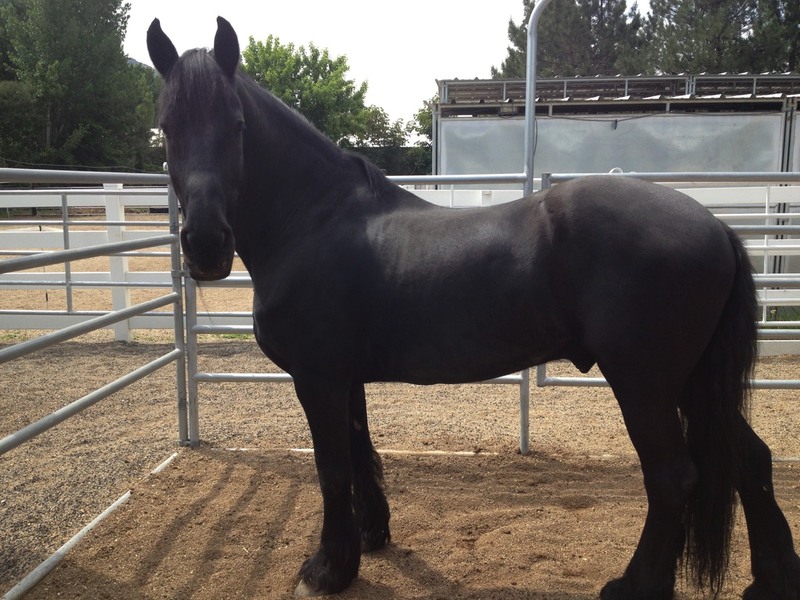 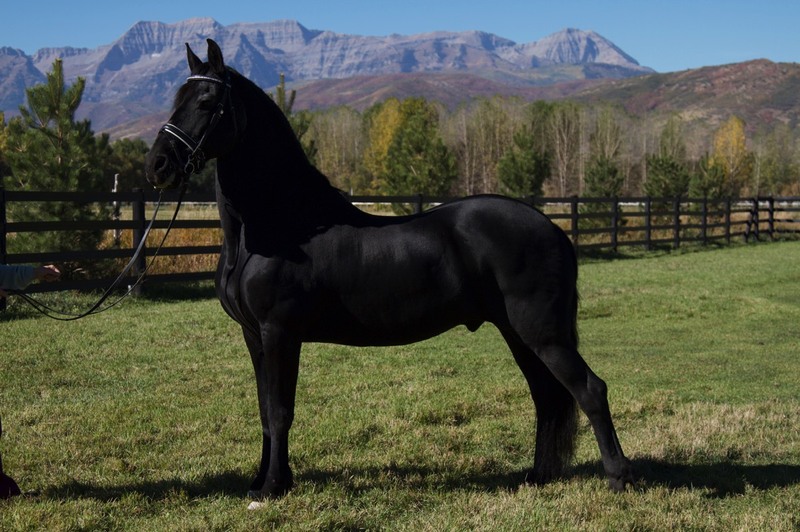 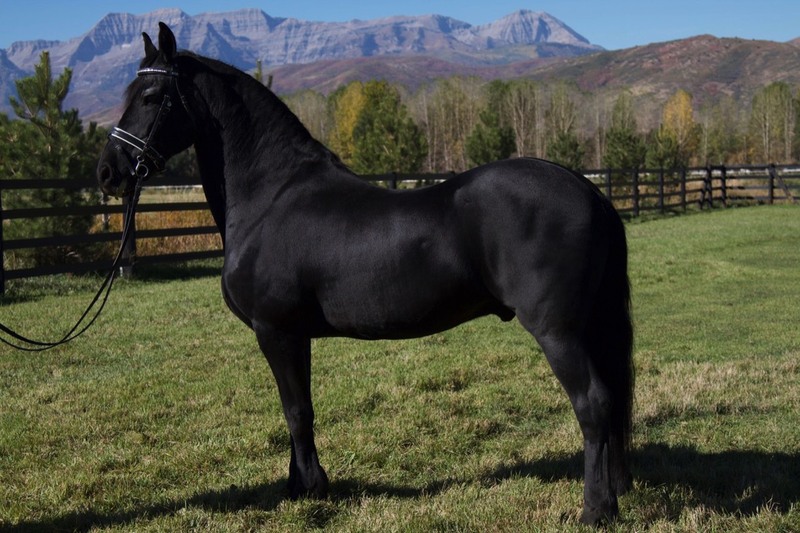 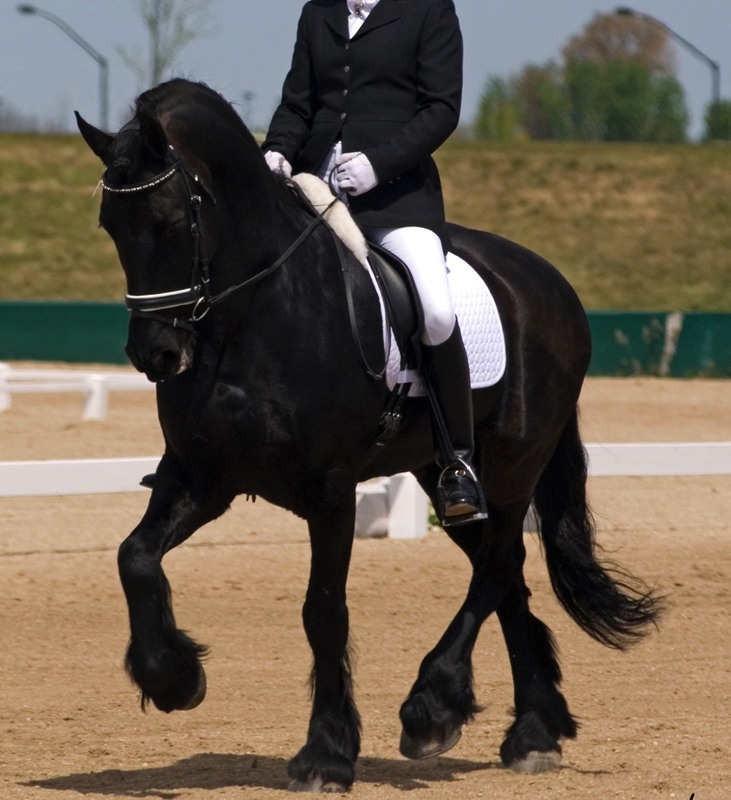 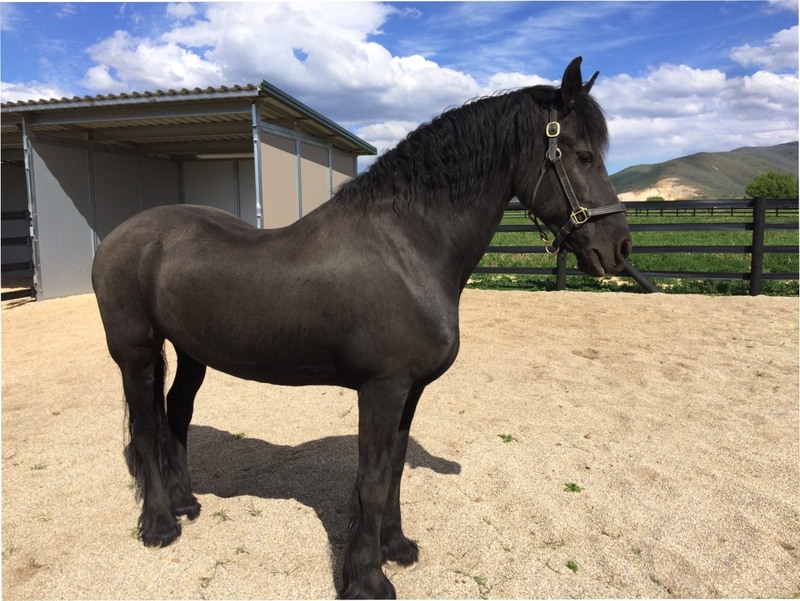 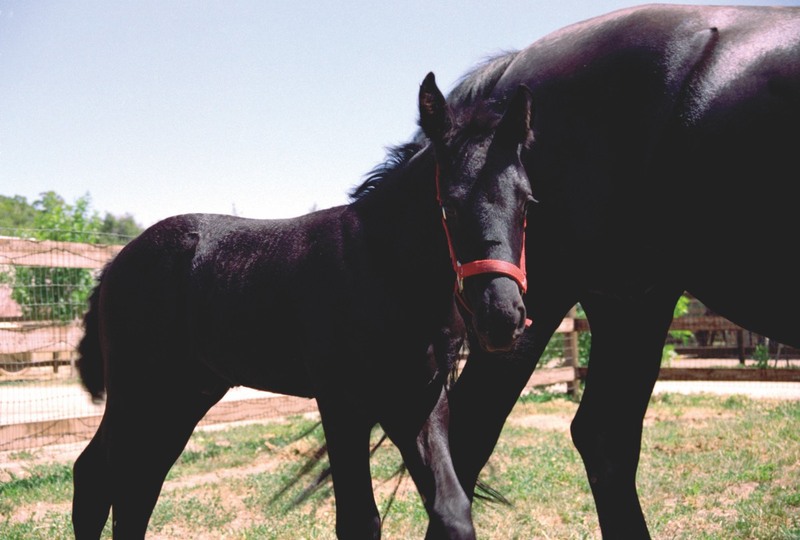 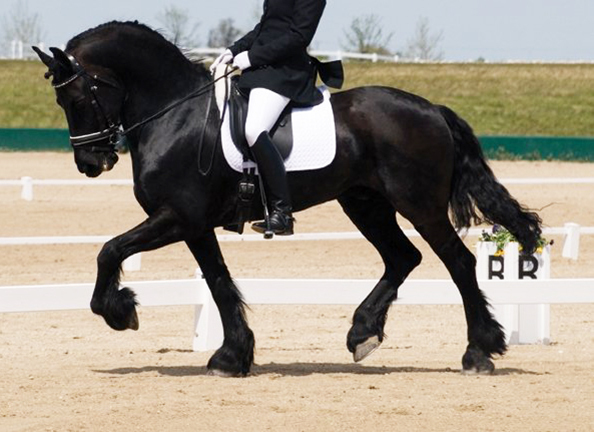 Classic Friesian looks with a phenomenal personality. 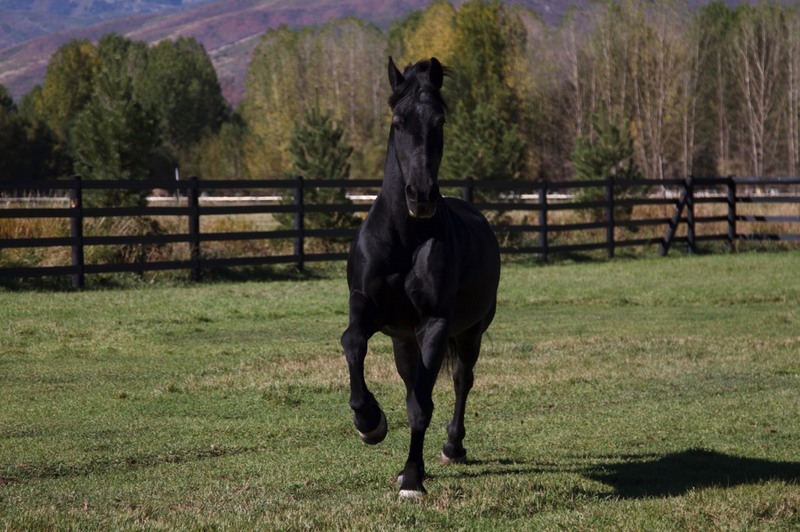 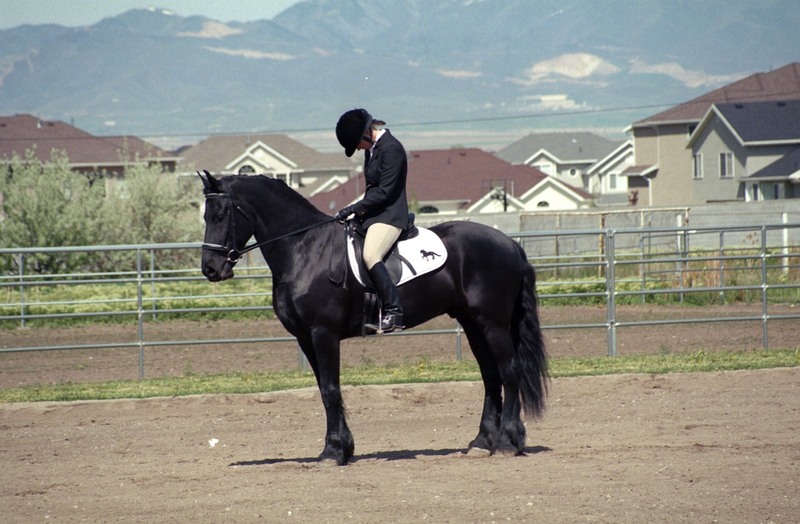 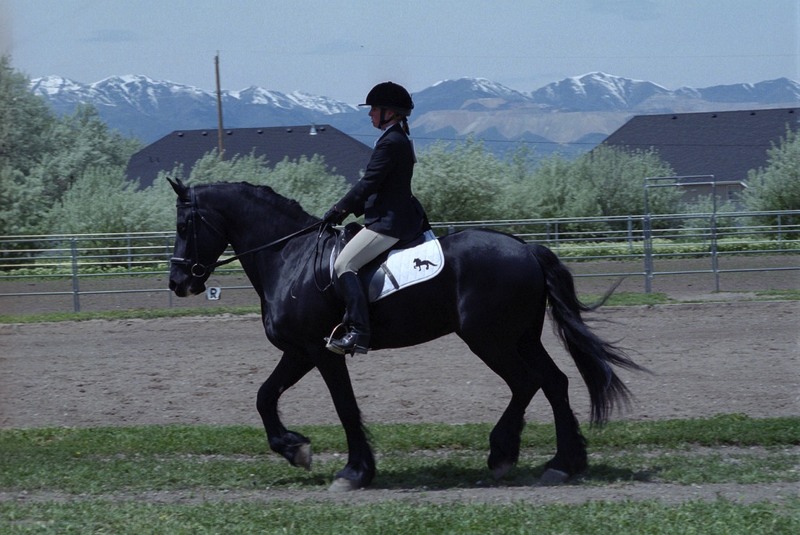 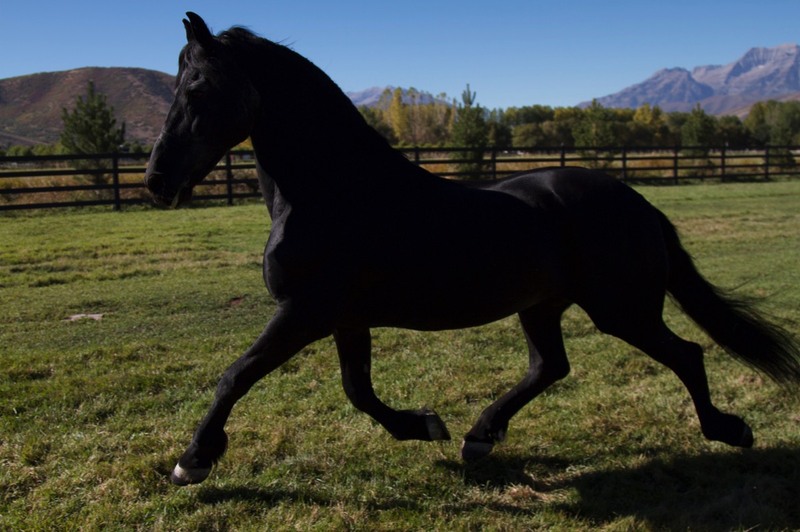 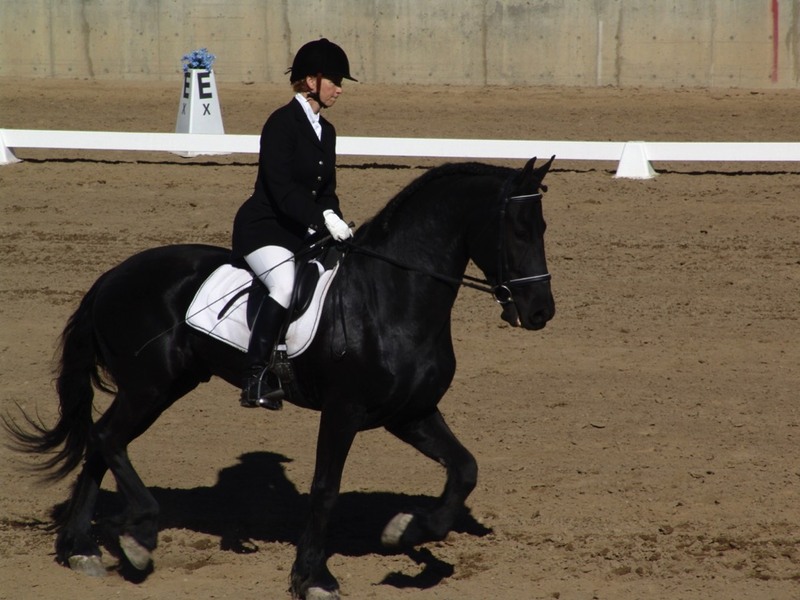 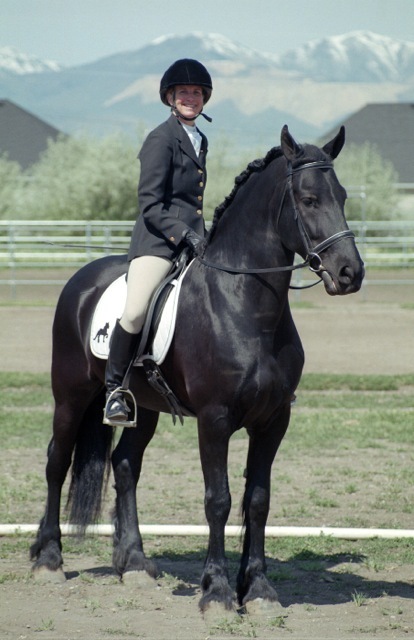 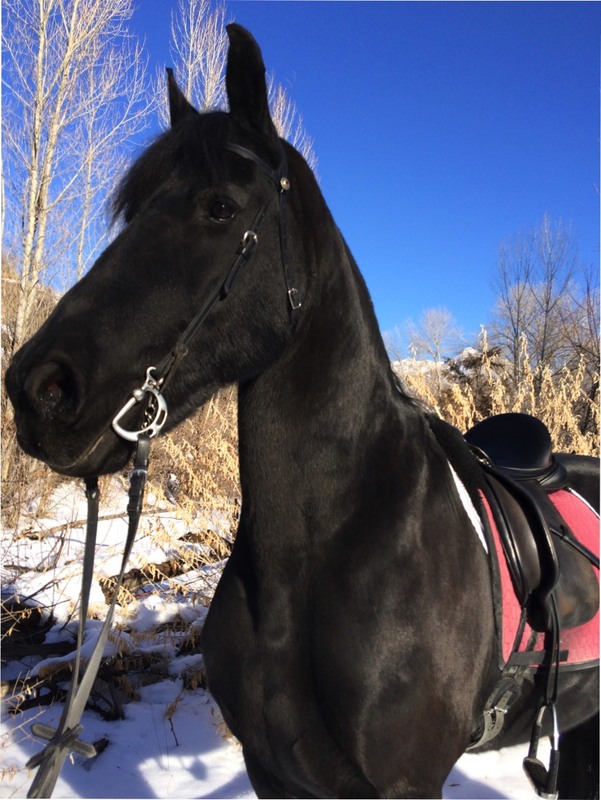 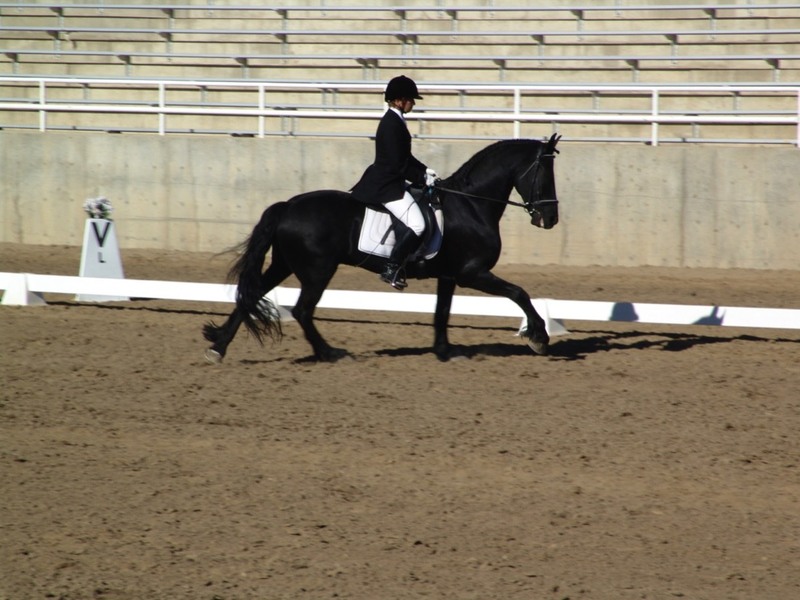 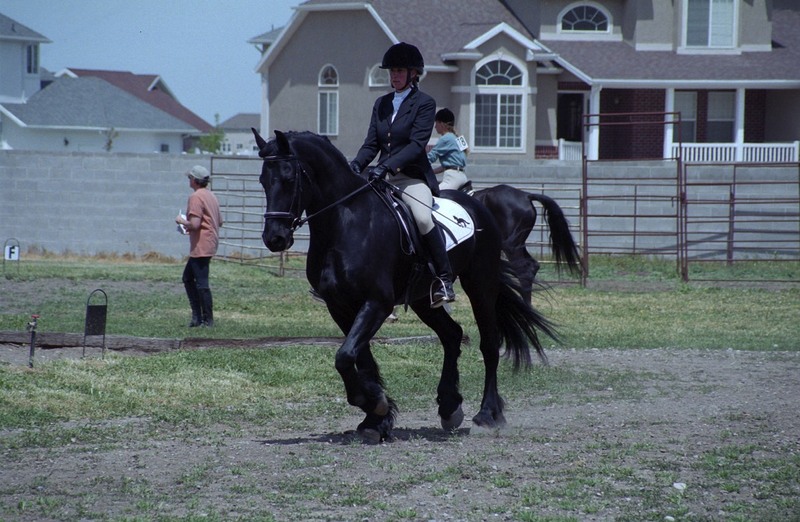 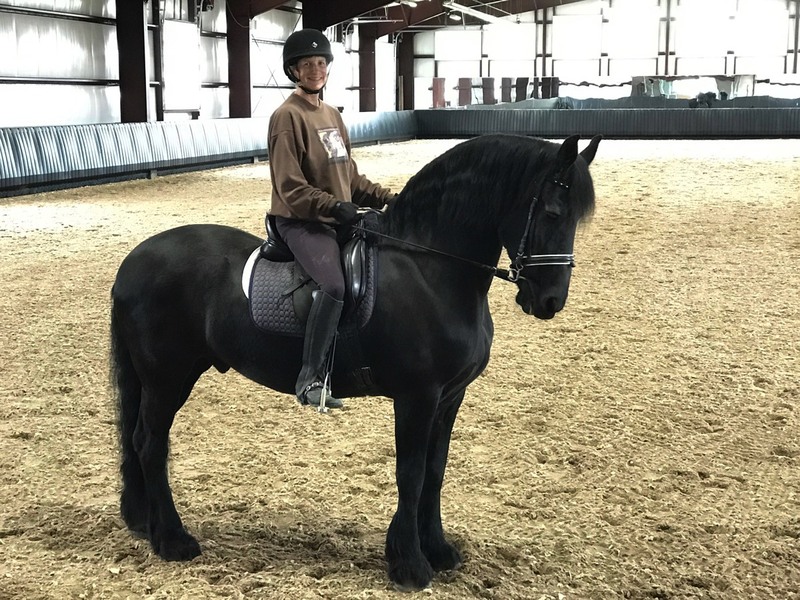 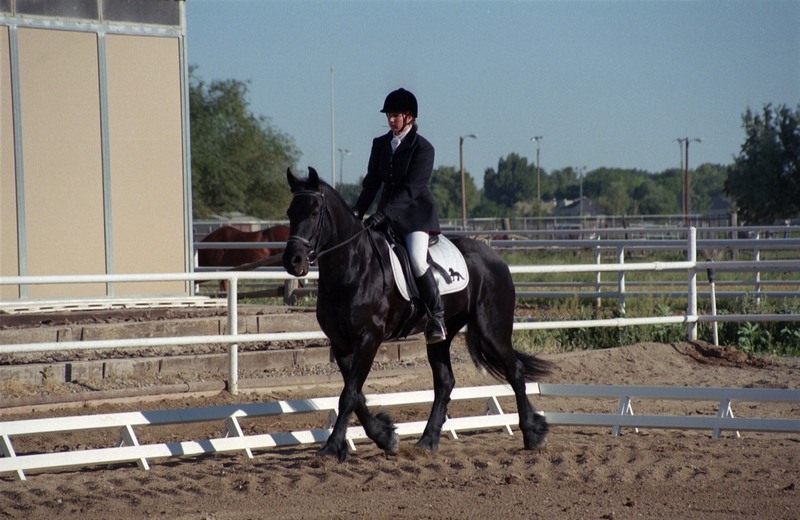 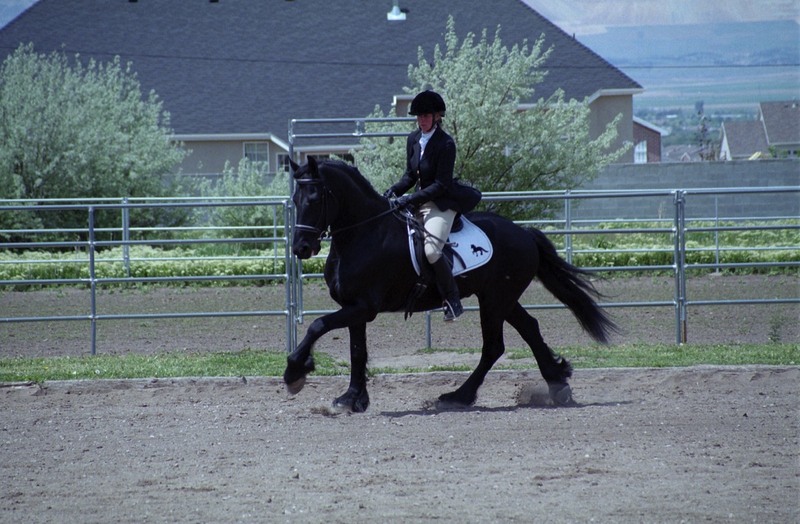 Doerak came to Black Magic Farms as a weanling and while more baroque in build than our other Friesians, he has never failed to show us that Friesian can do dressage. 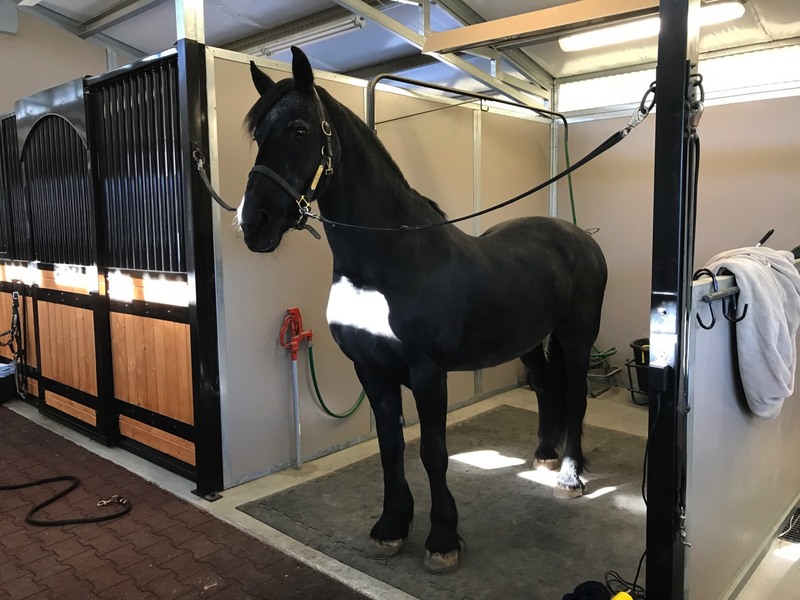 While severe arthritis cut his career in the dressage ring short, Doerak is the epitome of the perfect ambassador for the breed. 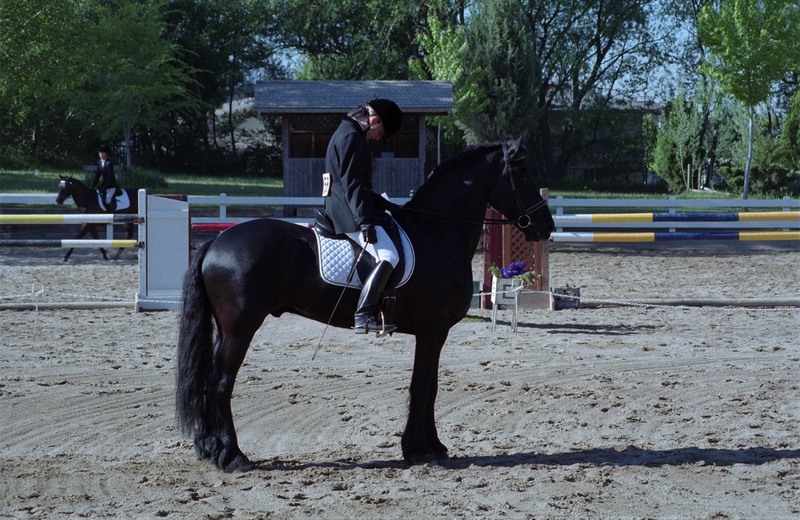 His gentle nature and calm composure allow him to excel in exhibitions and parades. 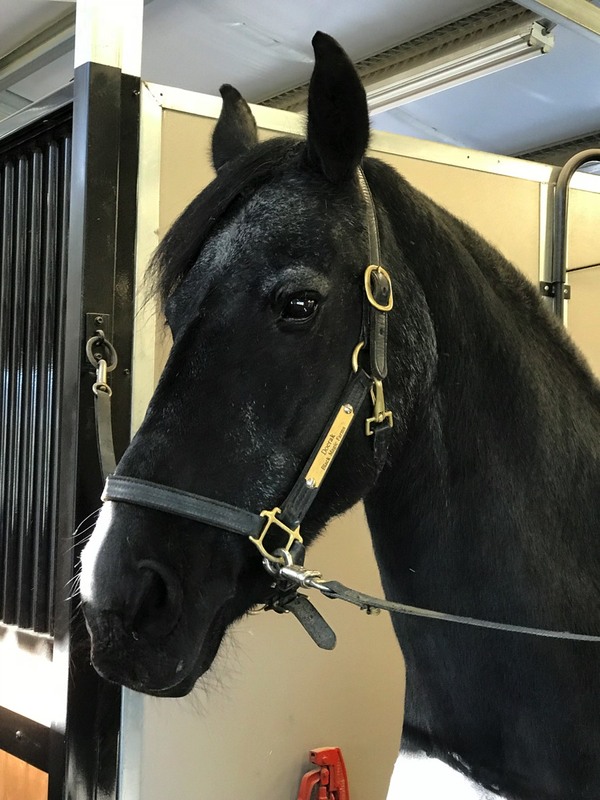 He has a great affinity for children and is more than happy to stand quietly for treats when they come to visit the farm. 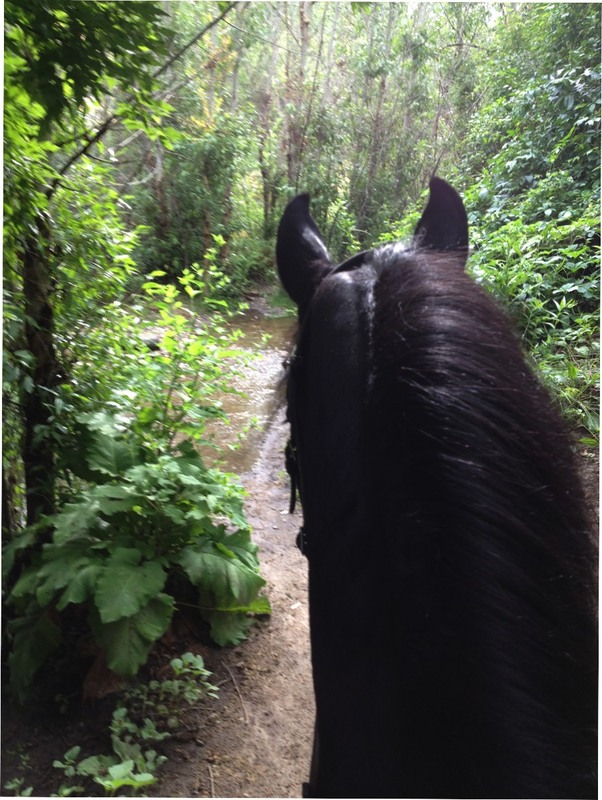 He also enjoys trail rides and loves traveling through forests and meadows, helping youngsters gain strength and security. 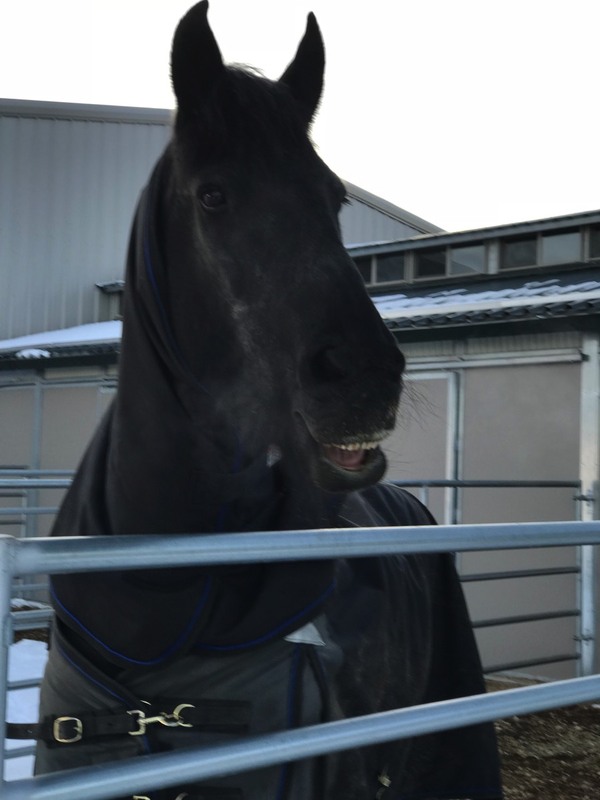 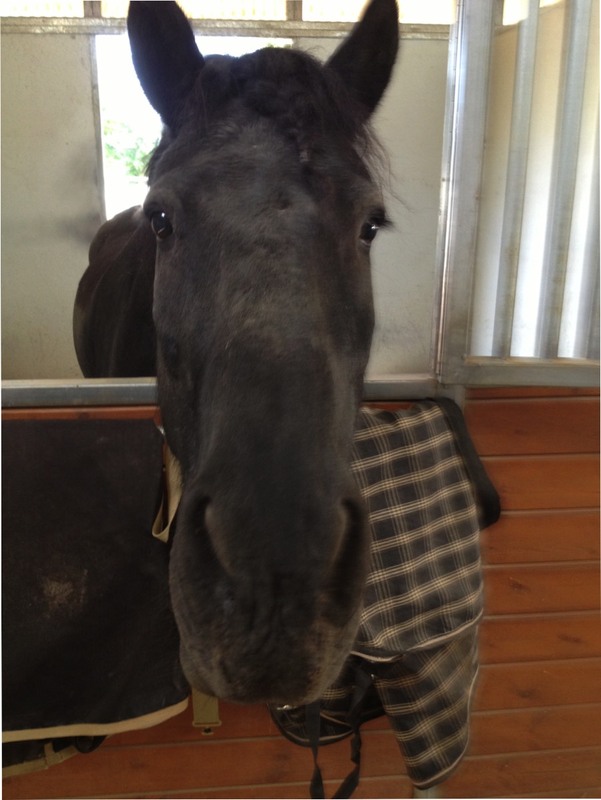 Currently 25 years old, with lots of gray hair, he enjoys being the old man of the barn and supervising everyone, and raising young foals, all while trolling for treats.